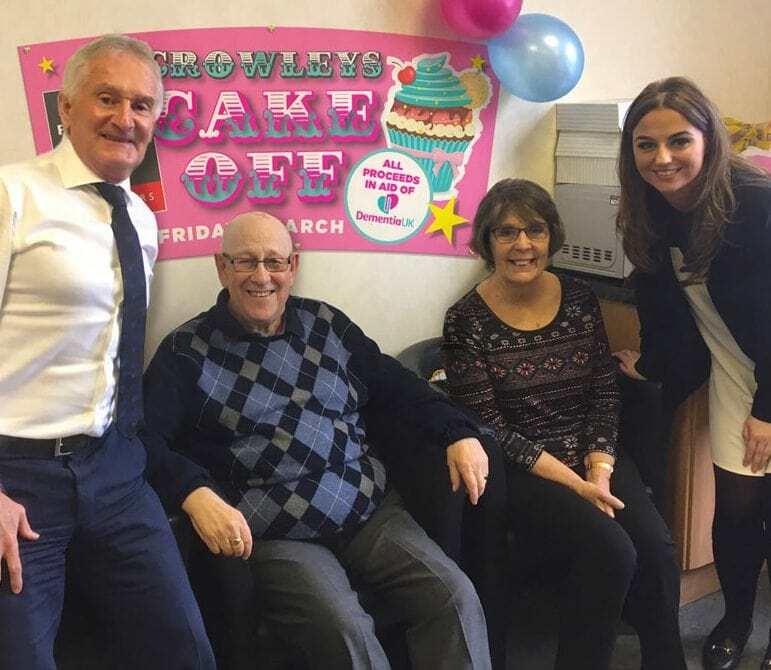 The Liverpool based solicitors has raised hundreds of pounds for charity with a special “Crowley’s cake-off”, judged by special guests. 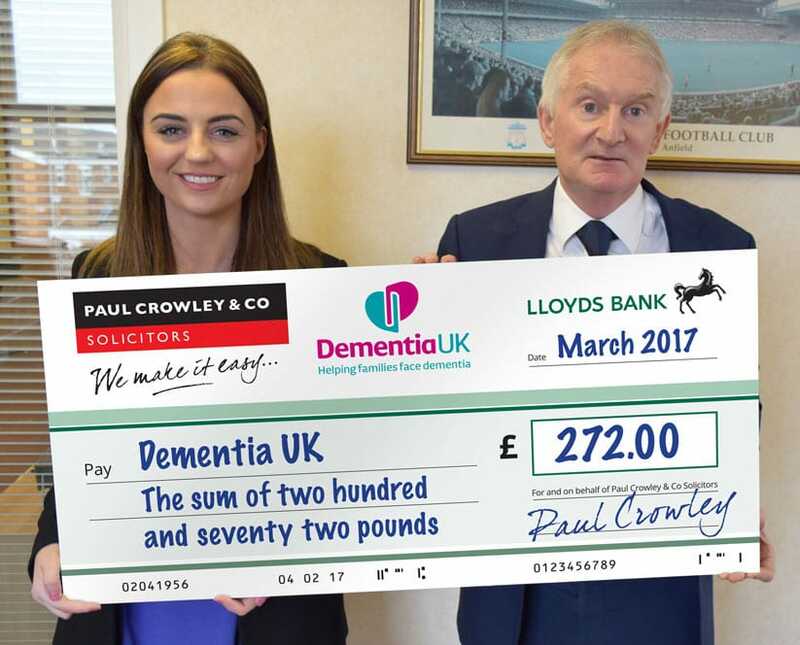 Paul Crowley & Co, which has offices in Anfield and Liverpool city centre, hosted the event on Friday (3 March), as part of Dementia UK’s ‘time for a cuppa’ campaign. 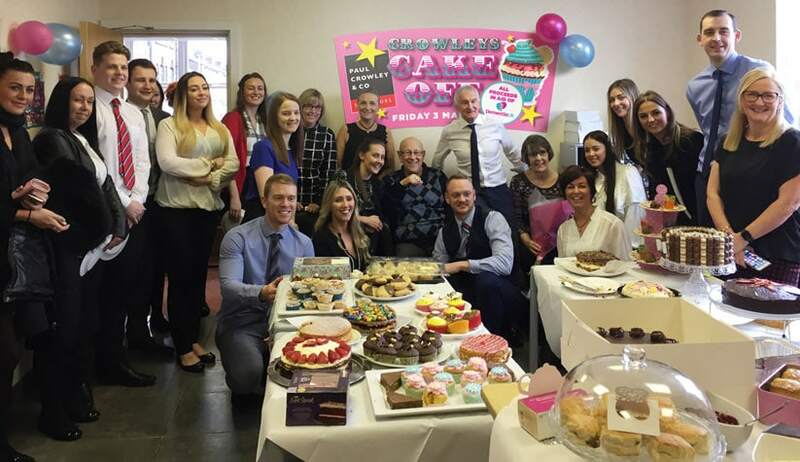 Staff from across the firm were invited to enter their bakes into the competition and sample cakes, tea and coffee in return for a small donation. Liverpool TV personalities June and Leon stepped in to sample and judge the bakes, with prizes for best taste and most appealing cake. April Gallagher was awarded the best tasting cake, while Elle Hayes took home the prize for most appealing cake. A charity raffle was also held, with special prizes donated by local businesses. Prizes included, signed Liverpool FC merchandise, Malmaison Hotel champagne afternoon tea, along with tickets for Knowsley Safari Park, the Comedy Club and various beauty treatments from local salons. After the judging and awarding of prizes the public were invited in for tea coffee and cakes.